Archery can change dramatically once the target moves even 20 yards further. Getting back to the basics can help beginners and advanced archers alike to improve their archery skills, and many of the sales professionals at Kames Sports are accomplished bow hunters and archer experts that can provide anyone from Atwater to Akron with hunting tips. 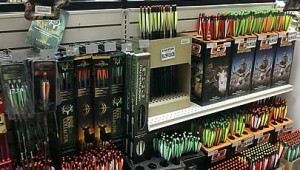 This local sporting goods store knows that the right equipment is the key to successful target archery and bow hunting. Should different arrows be used for different distances from the target? Many factors are involved, including the fact that some believe shooting larger-diameter arrows catches more lines on a target’s scoring rings for tournaments; however, bigger arrows might not flex enough and miss their mark easier. Part of the solution is for archers to work on their shot, because fatter arrows won’t help if they can’t get close enough anyway. Kames Sports can help anyone from Massillon to Navarre ensure that they are shooting the right arrows for their bow while working on their aim. Lighting can affect how well an archer focuses on their target, whether they are in an archery club or the sunrise over a wooded area, so more practice throughout the year will ensure adaptability to one’s surroundings. Kames Sports carries a wide selection of archery targets — including the Hurricane Storm bag target that’s designed to stop field-tipped arrows and crossbow bolts shot at up to 400 fps, Big Shooter Buck 3D targets, and so many more. 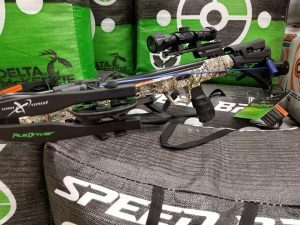 Not only does this local sporting goods store provide a plethora of hunting gear to prepare for hunting season, but they also carry archery accessories to prepare for archery season. They have the Whisker Biscuit Kill Shot arrow rest that’s been trusted for two decades with its silent arrow loading with custom rubber boots and Allen ambidextrous traditional archery gloves with reinforced finger tips. Kames Sports also carries a wide range of bows, such as the Bowtech Realm X compound bow, the Bear Bullseye 48” 25-pound traditional recurve bow, and the Killer Instinct 360 Kryptec Crossbow package. As hunting season approaches, they also have affordable treestands and trail cameras to help establish where deer commonly appear and to keep hidden from them. Archers can visit Kames Sports for their expertise on when and how to have a successful experience. Archery may seem as simple as pulling back a string and pointing at a target, but each variance can make or break the perfect shot. Whether someone in Akron, Ohio, loves the thrill of the hunt and needs to prepare for hunting archery season or another individual in Navarre, Ohio, spends the whole year participating in archery tournaments, Kames Sports has the hunting gear and archery accessories to help them reach their goals. 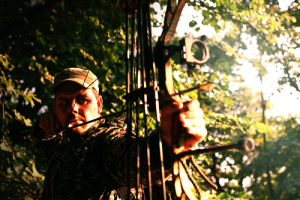 This local sporting goods store carries affordable treestands, trail cameras, arrows, archery targets, arrow rests, traditional recurve bows, compound bows, and crossbow packages in brand names that include Whisker Biscuit, Bear, Bowtech, Allen, and Killer Instinct. Anyone from Atwater, Ohio, to Massillon, Ohio, looking for hunting tips to improve their archery skills can finish every shot like it matters with Kames Sports. This entry was posted in Archery, Hunting, Outdoors, Recreation/Sports, Shopping, Sporting Goods and tagged affordable treestands Navarre Atwater Akron Massillon Ohio, Allen archery Navarre Atwater Akron Massillon Ohio, archery accessories Navarre Atwater Akron Massillon Ohio, archery gloves Navarre Atwater Akron Massillon Ohio, archery targets Navarre Atwater Akron Massillon Ohio, arrows Navarre Atwater Akron Massillon Ohio, Bear Navarre Atwater Akron Massillon Ohio, Bowtech Navarre Atwater Akron Massillon Ohio, compound bows Navarre Atwater Akron Massillon Ohio, crossbow packages Navarre Atwater Akron Massillon Ohio, hunting gear Navarre Atwater Akron Massillon Ohio, hunting tips Navarre Atwater Akron Massillon Ohio, improve archery skills Navarre Atwater Akron Massillon Ohio, Kame’s Sports, Killer Instinct Navarre Atwater Akron Massillon Ohio, local sporting goods store Navarre Atwater Akron Massillon Ohio, prepare for archery season Navarre Atwater Akron Massillon Ohio, prepare for hunting season Navarre Atwater Akron Massillon Ohio, traditional recurve bows Navarre Atwater Akron Massillon Ohio, trail cameras Navarre Atwater Akron Massillon Ohio, Whisker Biscuit arrow rest Navarre Atwater Akron Massillon Ohio by admin. Bookmark the permalink.